In our continued efforts to keep our school a safe place, parents are encouraged to park well away from the school entrance and walk to school. This also has the additional benefits of making a healthy lifestyle. We are currently awaiting results of the 'Park and Stride' competition run by Leicestershire County Council to design a banner that will be printed and displayed outside our school! Have you signed our Parking Commitment and Walking Pledge? How long will it take you to walk to school? Can you park further away and walk instead? Bikeability is today’s cycle training programme. It’s about gaining practical skills and understanding how to cycle on today’s roads. 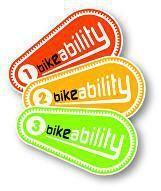 Bikeability gives everyone the skills and confidence for all kinds of cycling.